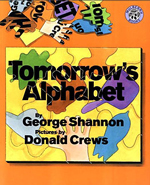 George Shannon is a prolific and highly acclaimed children's book author whose more than thirty books include Tomorrow's Alphabet (1999), Lizard's Guest (2003), White Is for Blueberry (2005), The Secret Chicken Club (2005), and Rabbit's Gift (2007). 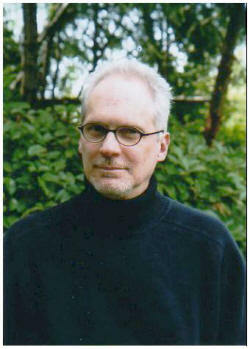 He has won awards such as the ALA Booklist Editor's Choice for Tomorrow's Alphabet, the Charlotte Zolotow Award Honor Book for Tippy-Toe Chick, Go!, the Washington State Book Award for outstanding picture book, and he was named Island Treasure for 2012 by the Bainbridge Arts and Humanities Council. When not busy writing books, Shannon finds himself teaching creative writing to children around the world, or attending workshops that take him to schools from the Arctic Circle to Jakarta. He is also active in his local library community. 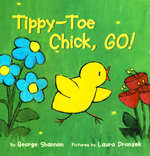 Shannon's most recent books are Chicken Scratches: Poultry Poetry (2010), co-authored with Lynn Brunelle, and Turkey Tot (2013). For a complete list of publications by this author and to view more information, click here.